This is only the beginning and in the coming weeks and months, we’ll add to this site and give a similar coat of paint to some of our other sites too, like TheEdublogger.com and our Help & Support site. The account creation process has been streamlined to make it easier for students and it now works better on mobile devices too. It is now possible for new users to create a username only (so no blog) if you’d like. 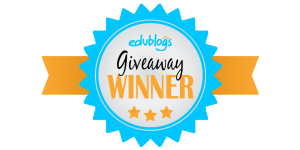 Scroll down the home page a little, and there’s a new ‘Community’ section that showcases some of the latest posts from across Edublogs. Perhaps your blog’s posts will be featured on our home page soon! We’ve created a new and improved features comparison chart that will make it easier to see the differences between our free, Pro, and CampusPress services. Check it out here. During the month of August, we’re giving away over $10,000 of our services in celebration of our 10 year blogiversary. Learn more and enter to win here. This re-design lays the groundwork for a huge new feature we’re excited to release in the very near future. So stay tuned!